Rebecca has been named one of the “Best Privacy Advisers in the World” multiple times in recent years by Computerworld magazine, most recently ranking #3 in the world in the last rankings provided. In 2008 Rebecca’s blog was named one of the “Top 50 Internet Security Blogs” by the Daily Netizen. 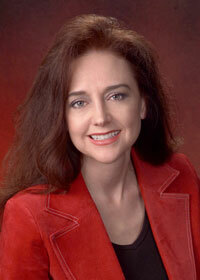 Rebecca was named one of the “Top 59 Influencers in IT Security” for 2007 by IT Security magazine. The information security program Rebecca created for Principal Financial Group, where she worked for 12 years, received the 1998 CSI Information Security Program of the Year Award. Rebecca has been named one of the “Best Privacy Advisers In The World” multiple times in recent years by Computerworld magazine. Rebecca was one of the first practitioners to be responsible for both information security and privacy within a large organization, in 1994 in a multi-national insurance and financial organization. In 2008 Rebecca helped the European ENISA to create their well received “Obtaining support and funding from senior management,” which used much of her “Managing and Information Security and Privacy Awareness and Training Program” information. In 2009, Rebecca was asked to lead the NIST Smart Grid privacy subgroup, where she also led the Privacy Impact Assessment (PIA) for the home to utility activity, the very first performed in the electric utilities industry. 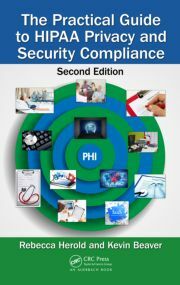 Rebecca recently launched the Compliance Helper service http://www.ComplianceHelper.com) to help healthcare organizations and their business associates to meet their HIPAA, HITECH and other information security and privacy compliance and risk mitigation requirements. In September 2010 Rebecca was asked to provide a 1-day Smart Grid privacy briefing to the California Public Utilities Commission. Rebecca assists organizations of all sizes and industries throughout the world with their information privacy, security and regulatory compliance programs, content development, and strategy development and implementation through a large variety of tools and services. She offers a range of standard and customized one and two-day workshops including one addressing how individuals across disciplines can work together to most effectively assure privacy and regulatory compliance while efficiently implementing security controls. Rebecca has also been an Adjunct Professor for the Master of Science in Information Assurance (MSIA) program since 2004. Rebecca has created customized 1- and 2-day training for the specific needs of many different organizations. Rebecca is the creator and editor of the “Protecting Information” multi-media security and awareness quarterly publication. Rebecca currently serves on the advisory boards for Alvenda (an ecommerce technology company), Subroshare (a subrogation technology tools company), Wombat Security Technologies (an online information security training company), was invited to be on the prestigious IEEE ISTAS10 program committee, and is on the Norwich University Journal of Information Assurance Board of Review. Rebecca has served as a board and council member of various other organizations, such as MaxMD and I’D Check. Rebecca is also currently participating in the NIST standards committee to help create information security and privacy standards and practices for the U.S. Smart Grid. Rebecca also is often invited to participate in unique activities, such as serving as a preliminary judge for the 2009 American Business Awards. HIPAA Certified: What Does it Mean? Copyright 2015 HIPAA Compliance Tools. All rights reserved.